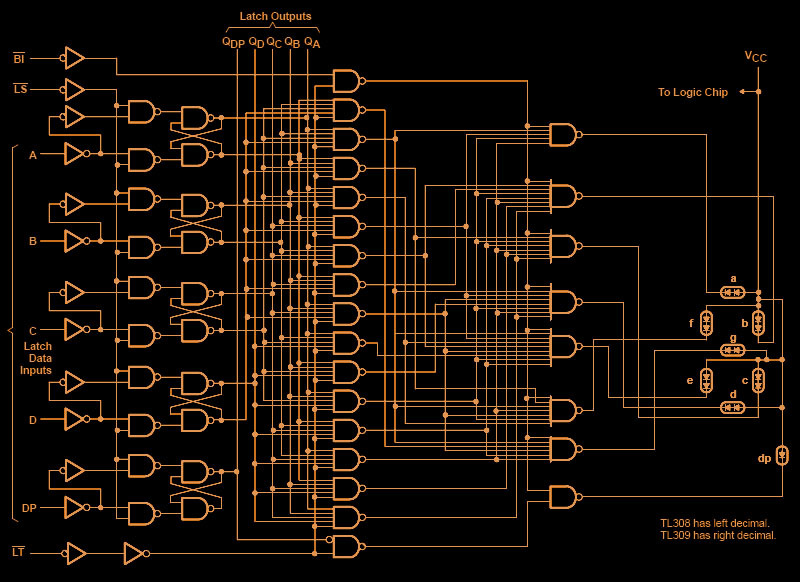 Though the Texas Instruments TIL308 appears externally identical to TIL306, internally it is quite different. The TIL308 lacks a built in decade counter, instead it accepts BCD hexidecimal data directly, a much more flexible arrangement. The TIL308 family was in fact both the forerunner and quickly superseded by the smaller and much more popular TIL311 BCD display shown below, and as such saw limited use. The TIL308 includes several features not found in the TIL311 however, including a built in display test function as well as data outputs for the display's built in latch. Several extra pins are present on the bottom of the package in order to provide access to these additional functions. Special thanks to Dr. Bruce Jarnot for donating this display. 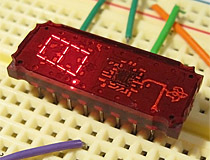 Texas Instruments TIL308 LED display, set to display test mode. 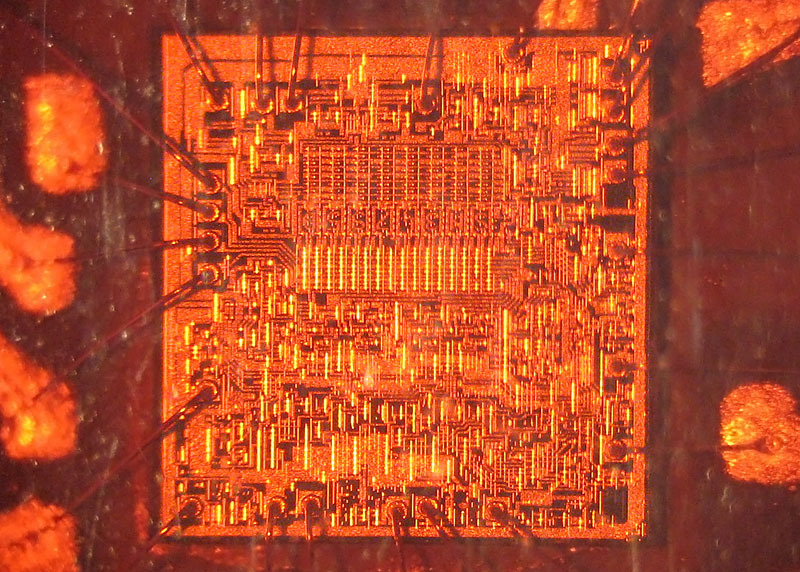 TIL308 controller die, viewed at 20x magnification. 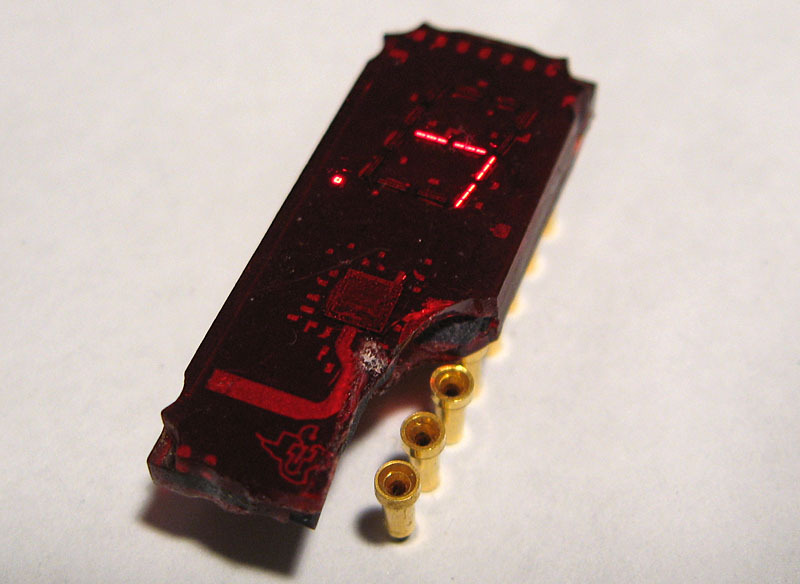 The driver IC for the TIL308 is embedded in its epoxy package below the LED dies. 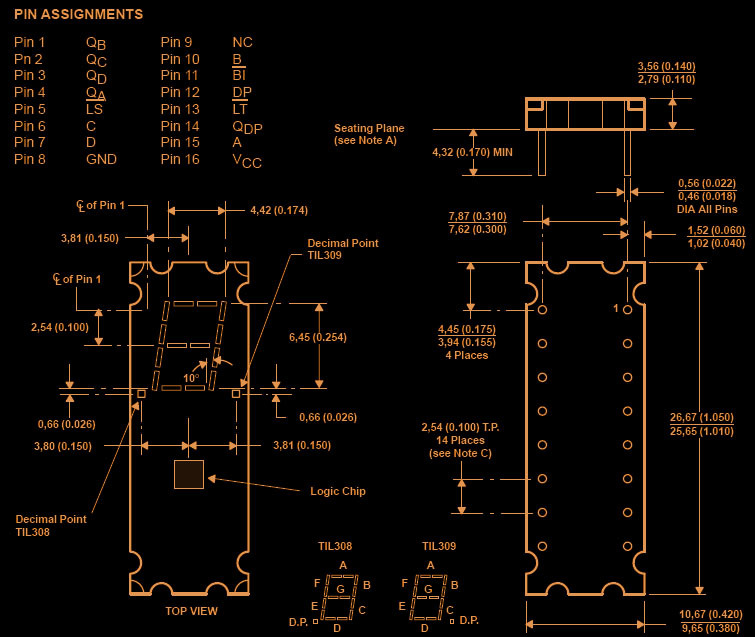 TIL308 LED display, dimensions and pinouts. Logic diagram for the TIL308. 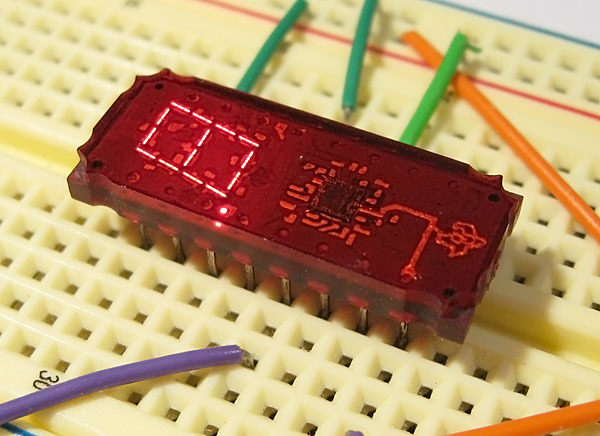 The internal control logic is constructed from 59 logic gates and implements latching and data output functions. Even LEDs can have a bad day. This TIL308 display was crushed in a large carton of bulk parts. Or maybe it just has a bite taken out for, you know, security.